Your drainage system plays a vital role in safely removing waste and wastewater from your home and property. When it fails to function as it should, you have a serious – and potentially hazardous – situation. Drain clogs are a common plumbing woe, and they can be caused by everything from tree roots to food debris. At Rowell’s Services, we offer video pipeline inspections. This allows us to take a look inside your pipes and quickly determine the exact nature of your problem. Video pipeline inspection makes it possible to effectively clean your home’s drains without needing to manually remove debris from every single pipe. Modern video camera technology allows us to take a close look inside your pipes to check for specific issues like roots growing into the line, blockages made up of paper waste products, grease or hair and numerous other problem. Our video camera also allows us to detect other problems like cracks in your pipes. When you contact us to have your drain lines inspected, we’ll use our state-of-the-art equipment to check out the inside of your pipes without damaging your property. Whether you already have a total blockage or we detect minor issues that could lead to serious problems later on, we will do what it takes to make sure your drainage system works as it should. Video drain inspections are a great way to get a clear picture of what’s going on inside your pipes. 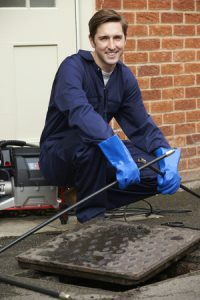 At Rowell’s Services, we offer this service throughout the Northfield, New Hampshire area, and we would be more than happy to come out and take a look at your drains. Whether you call us for preventative maintenance or to solve a stubborn or recurring clog, you can always depend on our team to get the job done right. To schedule an appointment for a video pipeline inspection, please call 603-934-4145 today.